Earlier this week I blogged about a tourist who took a photograph of a home at Orayvi and posted it to his blog. The tourist admitted that there were signs up that forbid people from taking photos, but he took one anyway. It appears from his post that the reason he published the photo was to show his readers how poor he perceived the Hopi to be. In my earlier post I mentioned that some Hopis do not want tourists to take photos of their villages because they desire to protect their privacy. Still others post these signs at the entrance of the village so that tourists will not misrepresent them. The sandstone homes and the condition of the village may cause outsiders to conclude that the Hopi people are poor and in desperate need of help. But is this the message that the people of Orayvi want the world to believe or hear? I wonder if the author of Boquete Panama Guide has ever been inside an Orayvi home? During his recent visit to the reservation, did he speak to the owner of this or other Hopi homes? Did he hear their stories about how members of their families/clans built these homes in the early 1900s or earlier? Did they tell him that people from the village once traveled by foot to Nuvadakovi (San Francisco Peaks) to cut down wood beams to use for their ceilings, and carried them back to the village? If so, did he see the pride in their faces when they told him that their families have lived in these homes for more than a hundred years? Did they explain to him that many years ago the people of the village decided to live without modern conveniences such as electricity and running water? Did he care enough to ask? Did he care enough to ask why? The producers of Beyond the Mesas were very fortunate that Marsah Balenquah from Bacavi on Third Mesa agreed to be interviewed for the film. 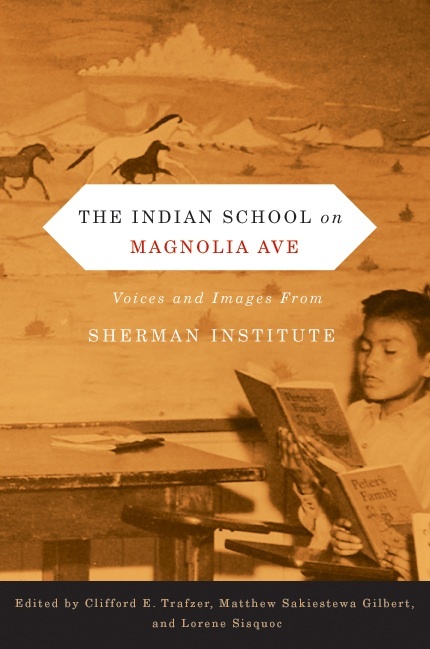 In the documentary she explains that she attended Sherman for thirteen or fourteen years. At one point in the film she describes her impression of the school’s buildings. Built by Indian students in a Spanish Mission architectural style, the buildings did not resemble the sandstone homes she and other Hopis were familiar with on the reservation. 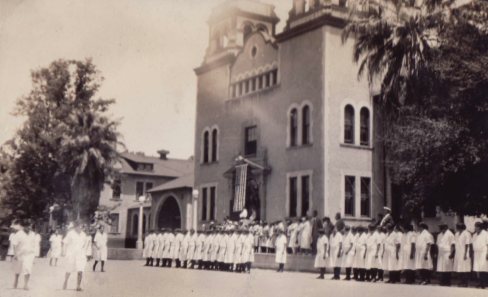 This photograph was taken when Marsah attended the Indian school in Riverside from 1920 to 1934. In the photo girls are standing in a line waiting for roll call and inspection. Everyday life at Sherman was very regimented. An American flag drapes from the portico of the school’s main building. Photo courtesy of the Sherman Indian Museum. It has been years since my last visit and I wanted to see if the life of the Hopi had changed. Everything was closed, the poverty obvious and although there were signs up not to take photos I took one of this dwelling. Recently a friend asked me why Hopis post signs at the entrance of their villages that forbid tourists from taking photos. I told him that one of the reasons is because Hopis want to protect their privacy. Imagine that you live in a remote area of North America that receives thousands of tourists each year. Your house is unlike most homes in the United States. It is made of sandstones and situated close to a highway. Throughout the year tourists zoom by your house, abruptly stop their cars, roll down their windows, and snap photos of your home. Sometimes this happens when you are sitting out front drinking ice tea and visiting with members of your family. Other times your children are playing outside. But it does not matter to the tourists if anyone is home, or whether people are outside. All they want is a photo of your home, and to them, the photo is only enhanced if you and your children are part of it. You sometimes wonder what people do with these photos. You imagine that some people put the picture of your home in a photo album, a book, make postcards and calendars from it, or sell it. Concerned about your family’s privacy, you decide that enough is enough and so you put a sign in your front yard that reads: “Please do not take photos of my home.” And then you wait. It does not take long for the next tourist to drive by. He slows down. He reads the sign, then looks at your home, then reads the sign again. A Nikon camera is laying on the passenger seat. He finds himself in a dilemma, but he decides to honor your request. Five minutes later, another car approaches your home. These people stop and read your sign, then look around to see if anyone is looking, roll down their window, take several photos of your home and speed away. This happens day after day and it will only increase during the summer months. I was once asked how many photos and other images we included in Beyond the Mesas. I do not know the exact number, but it had to have been over a hundred. Some of these photos came from people who we interviewed for the film, others we uncovered at various archives. One of these photos was of a group of Hopi girls at Sherman Institute during the 1920s. 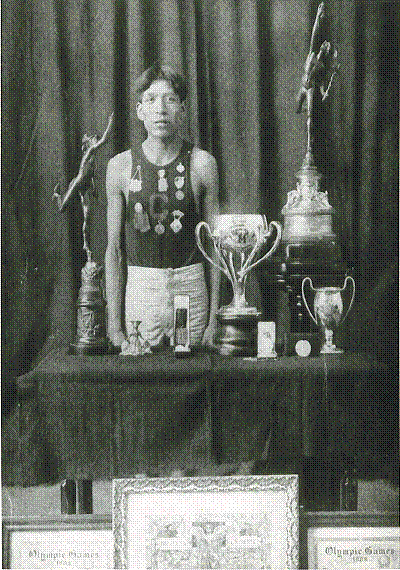 I came across this picture in the Veva Wight Collection at the Sherman Indian Museum in Riverside, California. Wight was a Protestant missionary who led Bible studies and other Christian activities at the school. She worked as a “Religious Worker” at Sherman for more than thirty years. 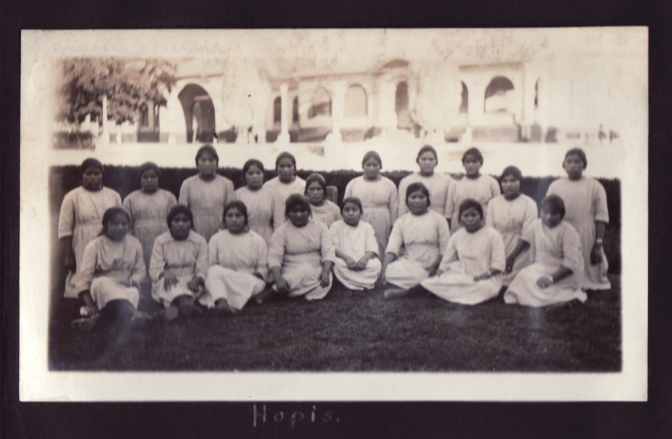 Although government officials allowed Christianity at Sherman to encourage the assimilation of Indian students, some Hopi girls had a genuine committment or interest in the Christian faith. In 2005, I published an article on a Hopi chief named Tawaquaptewa from Orayvi on Third Mesa. He was kikmongwi (village chief) at Orayvi during a very unstable time in Hopi history. In the early 1900s the village of Orayvi was divided over several issues. 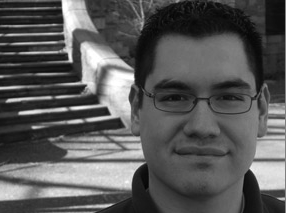 One of these issues was the mandatory enrollment of Hopi children at government schools. In the past scholars have produced a great deal of material on Tawaquaptewa, but most of the scholarship focuses on Tawaquaptewa during this period. However, when I was writing my book on the Hopi boarding school experience I came across a fascinating article by Barry Walsh titled “Kikmongwi As Artist: The Katsina Dolls of Wilson Tawaquaptewa” in the American Indian Art Magazine (Winter 1998). Walsh highlights an area of Tawaquaptewa’s life that has not received much attention. Tawaquaptewa was a carver and he sold his katsina dolls to tourists who visited the reservation between 1930 and 1960. Today his dolls are highly sought after by collectors. A website called TribalArtCollections.com has a photo gallery of his work. In March 2008, the Antiques Roadshow (PBS) featured one of Tawaquaptewa’s katsina dolls. The segment is less than 3 minutes long, but I think you will find it interesting. To see the video click here. I have also pasted the appraisal transcript below. APPRAISER: Do you know where it came from? GUEST: From hearing what my dad talked about and what he said, you know, that it was from… Southwest America somewhere. APPRAISER: It’s from Northern Arizona. APPRAISER: It is a kachina doll, but… there’s some different things about this one that makes it a little bit special. It’s not like most kachina dolls. We actually know who made this doll. APPRAISER: Yeah. It was made by a guy named Wilson Tawaquaptewa. APPRAISER: And he was the Hopi chief at Oraibi, but there’s two Oraibi villages and I’m not sure which one it was. GUEST: See, that name sounds familiar. APPRAISER: Yeah, but… because he was the chief, he wasn’t going to do something traditional and sell it, and so he made these kachinas that are like no other kachinas. APPRAISER: You go through the books and you’re not going to find one of these, because they most often represent a badger, or they have characteristics of a mouse or some animal in his world out there that’s not a traditional kachina, and this is one of them. The way that we spotted it is he liked to use this indigo color, and… it’s this really faded blue here. GUEST: I never noticed it. APPRAISER:…to $3,500, but because it’s a Wilson Tawaquaptewa, there’s a group of collectors now who recognize his work, who buy his work. On a bad day, this is worth $7,500 to $8,500. Uh… …if it’s a good day and the right collector’s in the room, $9,000. APPRAISER: So it’s something real special and it’s something real unique that you ended up with. GUEST:…that is, that is amazing. That surprises me, surprises me a great deal. The Hopi of northeastern Arizona are among the most researched indigenous people groups in North America. Over the years anthropologists, historians, psychologists, ethnographers and many others have conducted research on the Hopi Reservation. Their scholarship has appeared in journals, books, internet websites, and even films. 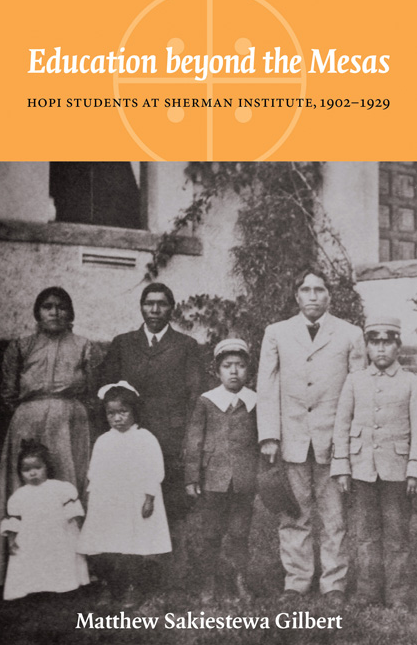 Some of these scholars collaborated with Hopi people, followed research protocols established by the Hopi Tribe, and sought ways to give back to the Hopi community. Others did not. But the purpose of today’s post is not for me to write about people who have exploited Hopis of their intellectual property or conducted research on the reservation without permission from the Hopi Tribe. Instead I want to introduce you to someone whom I believe has done the complete opposite. 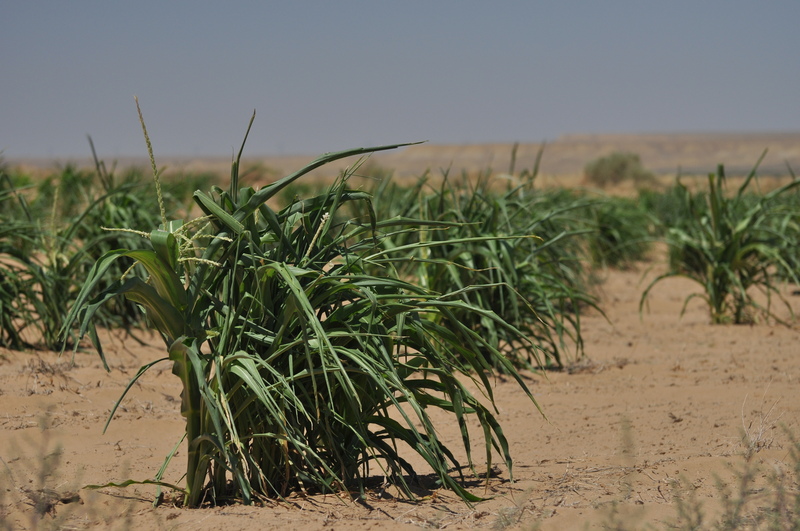 I urge you to visit Reed’s blog and learn more about this important project. 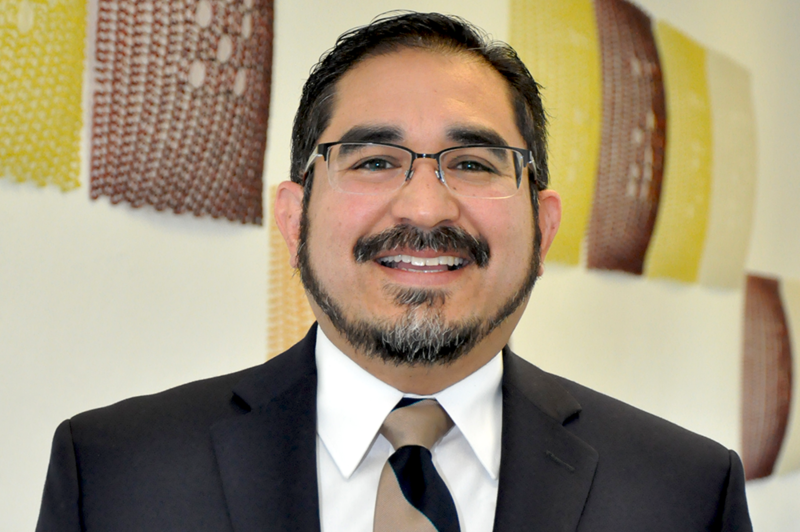 His current post, “Repatriation Initiative Receives Endorsement from Hopi Elders,” describes a recent meeting that he had with the Hopi Cultural Preservation Office and the Hopi Cultural Resources Advisory Task Team. At this meeting Reed gave a update on his project and played some of the Hopi songs that he uncovered at the University’s Center for Ethnomusicology. As Reed recalls, a highlight for him was when he played a particular song at the meeting and those in attendance joined in the singing. To visit Reed’s blog, click here.